Hi! I found this great product at Futurenvironments, I thought you might be interested in it. Check it out! This course is voluntary and has been independently designed to promote economic growth in developing countries. 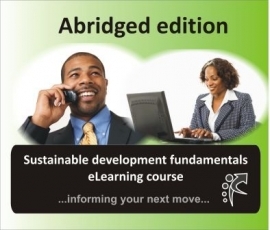 The abridged edition of the course is mainly for influential executives who are tired of the status quo. It is ideal for managers and experienced professionals seeking to support innovative solutions in any sector of the economy. This course is recommended for working professionals with several years of experience that need to get the message quickly and at a high level because they have the resources to deliver a broad range of outcomes.